Glendale Arizona is this your New Hometown? 01/24/2013 in Featured, Glendale Arizona. 10/08/2012 in Arizona Fix and Flip Property. 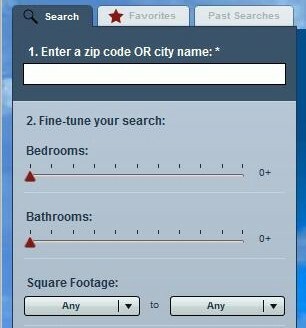 09/08/2012 in Arizona MLS Search, Buying Real Estate, Featured, Real Estate. 09/07/2012 in Buying Real Estate, Featured, Real Estate, Selling West Valley Homes. 08/29/2012 in Featured, Real Estate Investing, Selling Real Estate, Selling West Valley Homes. 07/30/2012 in Featured, Weekly Update - Facebook Community Pages. 07/19/2012 in Arizona Fix and Flip Property, Buying Real Estate, Featured, Fix and Flip Important Tips, Real Estate Investing, REO Properties, Selling Real Estate, Selling West Valley Homes. How can I sell my Glendale, Peoria, Surprise or Phoenix Home Quickly. 07/15/2012 in Arizona & Metro Phoenix Short Sale News, Chase Priority Partner - Short Sale AZ, Featured, Glendale Arizona Short Sale, Selling Real Estate, Selling West Valley Homes, West Valley Short Sale. 07/13/2012 in Arizona & Metro Phoenix Short Sale News, Chase Priority Partner - Short Sale AZ, Featured, Glendale Arizona Short Sale, Selling Real Estate, Selling West Valley Homes, West Valley Short Sale. 07/11/2012 in Arizona & Metro Phoenix Short Sale News, Chase Priority Partner - Short Sale AZ, Featured, Glendale Arizona Short Sale, Selling Real Estate, Selling West Valley Homes, West Valley Short Sale.